20 cm xi, 401 p. : ill. Reprint. Originally published: London: Little, Brown, 2005. 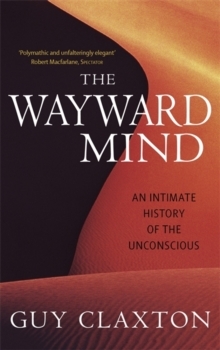 The unconscious has had a long and chequered history. For at least the last 4,000 years, societies have concocted comforting fables in the face of the recurrent puzzles of human existence - death, dreaming, madness, possession, inspiration - that invariably rely on some notion of the unconscious. Supernatural 'fairy stories' need some internal proxy or contact point through which the influence of demons and spirits can flow. And without such gods and forces, some psychological machinery is needed to take over their work. But what IS the unconscious? Is it 'God's viceroy', the soul? Is it the locked ward of Freudian desire? Is the subliminal mind the source of the sublime emotions of the Romantics? Is is the mental microchip of cognitive science? Or is it simply the brain?